Among the many policy changes proposed in the House’s newly introduced tax reform bill, the “Tax Cuts and Jobs Act,” is a repeal of the $7,500 federal electric vehicle (EV) tax credit. Current policy calls for an already-scheduled phase out of the credit over the two quarters following each automaker surpassing plug-in vehicle sales of 200,000 units. The new proposal would eliminate the tax credit entirely at the end of this year—only EVs registered on or before December 31, 2017 would qualify. Not only would this repeal slow the acceleration of electric car adoption, it will also hurt our economic, energy security and energy independence goals, and slow progress in bringing affordable and practical electric cars to the mass market. To understand the importance, rationale, and benefit of this credit, a short history of the bipartisan legislation is useful. One year later, another bill passed with bipartisan support, the Energy Improvement and Extension Act of 2008, to again be signed by President Bush. This version was written to include all types of plug in electric vehicles (both battery only and plug hybrid electrics) that met certain battery size criteria for providing a meaningful all electric range. it created the first non-refundable consumer tax credits for at least the first 250,000 plug-in vehicles sold. In 2009, in order to make the tax credit accessible to more automakers, many of which had lobbied their concerns that they needed more time to ramp up their electric car programs, the credit was revised to its current form in the The American Recovery and Reinvestment Act of 2009. The only change in the so-called stimulus bill was that the quantity of plug-ins sold before the credit would phase out was set at 200,000 per manufacturer. In other words, the first 200,000 plug-in Chevy vehicles would all be eligible for the credit. Likewise for the first 200,000 Tesla Motors, the first 200,000 plug-in Fords, and so on. Where Does the Federal EV Tax Credit Stand Now? Over the past seven years, since the modern era of plug-in electric vehicles commenced with the launch of the Chevy Volt and Nissan Leaf, only a handful of automakers have sold more than 100,000 plug-in electric cars in the US (most notably, Tesla and General Motors) and none have reached the 200,000 threshold for phasing out the credit. Both GM and Tesla are due to reach the 200,000 car mark within the next year or so, meaning the tax credits for those makes would be phased out relatively soon regardless of any new policy. (Not as soon as the end of this year, but not too long from now.) However many other automakers have taken longer to get to market, making the continuation of this credit vital to achieving the original policy goals set out by Congress at the end of last decade. 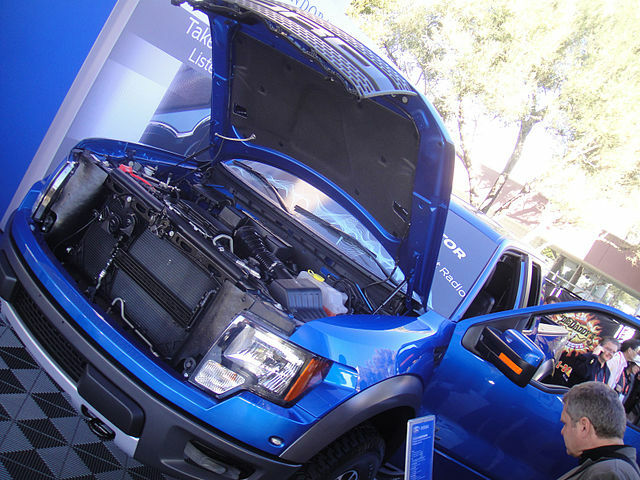 For instance, Ford’s plug-in F150 truck (shown above) has been developed with the expectation of a federal tax credit to support early adopters. Beyond energy security and environmental benefits, there would be direct financial and human health impacts of slowing the adoption of EVs. Many of the electric vehicles selling well today are built in the US by American workers. Slowing their sales now will have an immediate negative impact on American companies and workers. “The EV tax credit repeal would cede US leadership in clean vehicles, putting our companies at a competitive disadvantage and threatening jobs while costing drivers more at the pump and increasing pollution,” said Luke Tonachel, director of the Natural Resources Defense Council’s Clean Vehicles and Fuels Project. Furthermore, as supporters of the original legislation understood, the electricity that EVs run on is generated in the United States from domestic resources. This has real monetary value, not only to utilities and energy producers, but also in potential savings to electric ratepayers, as EV charging practices can better utilize electric system capacity. Jeff Allen, Executive Director of Forth Mobility, wrote last year of a California study that found that each electric car was worth up to $9,799 to the electric utility and its ratepayers. Preservation of the federal EV tax is sound, non-partisan transportation energy policy. For a decade, Republicans and Democrats have agreed on the value and importance of the tax credit. In the grand scheme of tax reform, the credits are a relatively small budget item—a little more than $1.5 billion per manufacturer over the course of more than a decade. Those savings would do little to make up for the $989 billion shortfall that the rest of the tax reform plan would create. The federal EV tax credit is smart policy that will help ensure the next generation of Americans has greater prosperity, health, and opportunity in the coming global marketplace, one that is already wholeheartedly embracing the inevitable transition to vehicle electrification.